We offer real water buffalo horn button blanks in natural colors & different sizes. We make horn button blanks in sizes as per buyer's requirement. Our 100% real horn button blanks are of cattle horns, cow / buffalo / ox horn button blanks. These horn button blanks are used to make knife handles, buttons, various handcrafted items. We produce and supply very fine quality horn button blanks at very reasonable prices. 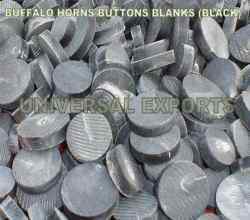 Buffalo Horn button Blanks,Cow horn button blanks are manufacturered by us as per client's requirement. We wish to export our horn blank buttons to USA, UK , Canada, Australia. 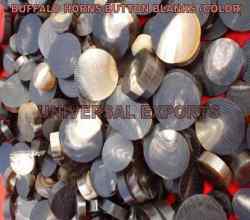 We are specialize manufacturers and exporters of buffalo horn button blanks. 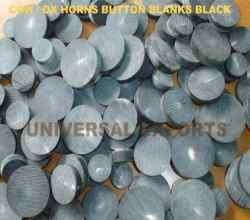 This is due to our experience in horn button blanks industry we have been able to provide buffalo horn button blanks in various sizes and colors as per client's requirement. We welcome our clients to provide their specifications and we assure them for meeting the standard and their exact requirement about size, color and finishing. Email us for full catalog of competitive rates of buffalo horn button blanks. We are India's leading manufacturer of Ox Horn Button Blanks. We are manufacturing high quality real ox horn button blanks in different sizes and colors. Workers in our factory are highly experienced in the field and they produce finely finished animal / cow/ buffalo/ ox horn blank buttons in all colors. We assure our customers for fine quality products and timely delivery at any part of world. 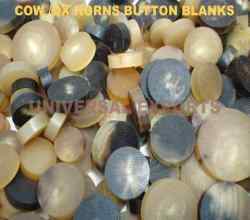 Kindly write us email for catalog of ox horn button blanks at competitive price.